Breccia Damascata is a famous italian marble, extracted in quarries located near Brescia in the North of Italy. The colour of Breccia Damascata is fascinating and ranges between red, brown, white and pink. The blocks are available in very limited quantities. The slabs must be resined, in order to fix micro-cracks and porosity. strong>Ziche vacuum resins all the slabs of Breccia Damascata three times with epoxy resins, enhancing the structural quality of this marble. Breccia Damascata is a very famous marble in North America, since it was chosen by Donald Trumph for the floorings and the claddings of some of his most famous towers, among which the Trumph Tower of New York and Las Vegas. 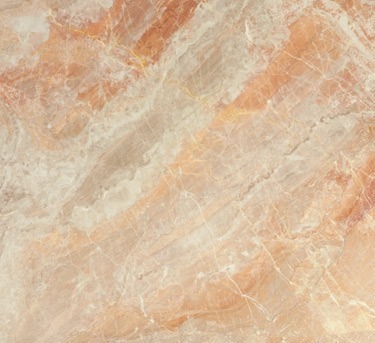 The tiles of Breccia Damascata can be placed with the book-matching technique, which exalts the important veining of this marble and creates fascinating settings. This marble is commonly used for indoor floorings, stairs, countertops, tiles, stairs, especially with the polished finishings which values the beautiful color of this marble.